Rich, enchanting, and classic - our 18 elegant roses arrangement is for those times when only the best will do for your special someone. 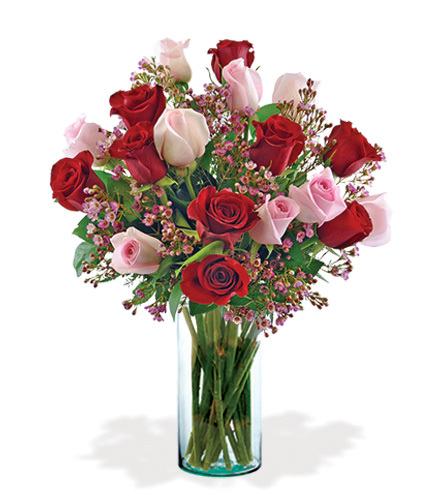 Bold red and soft pink long stem roses stand out among purple waxflowers and greenery. For any occasion when you need to make a statement, this bouquet is sure to do the trick. Add a final touch with a brightly colored vase of your choosing. Your recipient will be delighted to receive such a carefully chosen, premium bouquet.